Dan La Botz, a co-editor of New Politics , interviewed Josep María Antentas, teacher of Sociology at the Universitat Autònoma de Barcelona (UAB) and anticapitalist activist. First published on New Politics website. Dan La Botz (DL): The Catalan independence movement and its suppression by the Spanish state have garnered the attention of the world. What has been your attitude toward the question of Catalonia? Josep María Antentas (JMA): My traditional position is the defense of the right to self-determination, with the idea that when a group rises to exercise this right its position must be made specific. In the current situation and since the independence movement began in 2012, the defense of a “Yes” vote has a more democratic content than the “No” vote, which is associated exclusively with the reactionary defense of the Constitution and the political regime. JMA: The impact of the independence process on Spain as a whole is complex because, in the short term, the Spanish right uses it to cohere its social base and in the last weeks we are experiencing a shift toward the right in the Spanish political and social life. But at the same time, it is the principal threat to the political regime created in 1978.1 If Catalonia became independent, it is unlikely that the political regime of 1978 could survive. Such a crisis could open the opportunity for change in the Spanish state as well. The strategic, decisive question is how to link the independence movement – without dissolving its demand, with a perspective of breaking with the 1978 regime within the state as a whole. This requires combining unilateral action from Catalonia with the struggle within the Spanish state as a whole in favor of a new majority politics of the left. 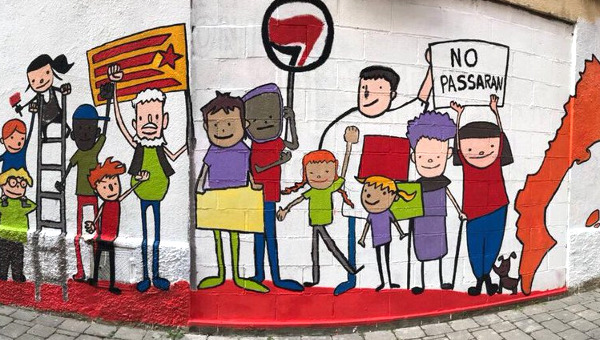 But this center-periphery dialectic is complex and neither Catalan independence movement, nor the forces of the Spanish left such as Podemos know how to do it. DL: What is the social base of the independence movement? JMA: The independence movement is principally based in the middle class, public employees, and youth. 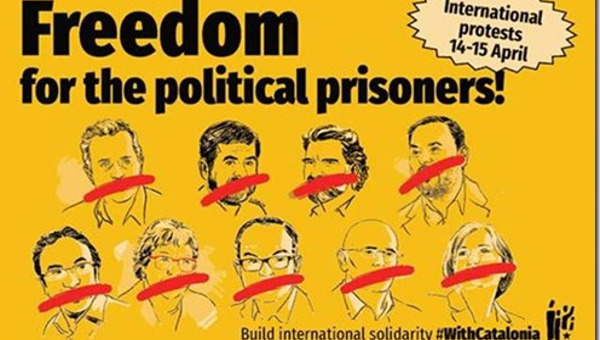 The Catalan government is an alliance between the neoliberal right party PDeCAT (Partit Demòcrata Europeu Català or Catalan European Democratic Party) and the center-left ERC (Esquerra Republicana de Catalunya,Republican Left of Catalonia). But since the movement began the relation of forces between these two groups has been displaced toward the ERC, while the PDeCAT has lost support. 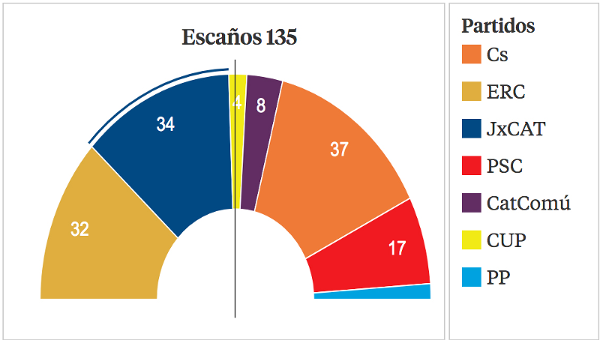 If there are elections on December 21, and the two parties renew their alliance, the ERC will take control. Or, to put it another way, on the one hand, the Catalan right is playing a central role, but, on the other hand, it has been overwhelmed in a process that benefits the center-left independence forces. DL: What has been the role in all of this of the CUP (Candidatura d’Unitat Popular or Popular Unity Candidacy) the farther left political party? And can you explain what has happened to Together We Can (En Comú Podem)? JMA: CUP is an independence party and the principal force of the Catalan anti-capitalist movement. It went from 3 per cent to nine per cent of the vote in the last five years. It’s independence project goes beyond official “independence pure and simple” and links the national question with the social issues and defends an explicit anti-capitalist and anti-1978 regime position. It is a militant, combative force with a participatory and anti-bureaucratic culture. But it remains excessively trapped in the role of honest guarantor that the independence process will be carried out to the end, of pressure on the government so that there is no step backwards, and it had no strategy whatsoever for attracting the social base of the left that remains outside of the movement. DL: And what are the obstacles that the left faces? JMA: The principal problem is that Catalonia’s radical left is divided: a part, CUP, is totally inside the movement; the other part (led by Ada Colau, the mayor of Barcelona and leader of En Comú Podem) is outside and maintains a passive wait-and-see attitude. I think that one has to be both within and outside of the movement, to support it insofar as it has democratic demands that would break with the old regime, but without necessarily sharing its strategy and its objective. The fact is that a part of the left has been totally outside, and that has given the right greater maneuvering room. En Comú Podem supports the right to self-determination but it is not pro-independence. It has an anti-austerity program though not anti-capitalist. 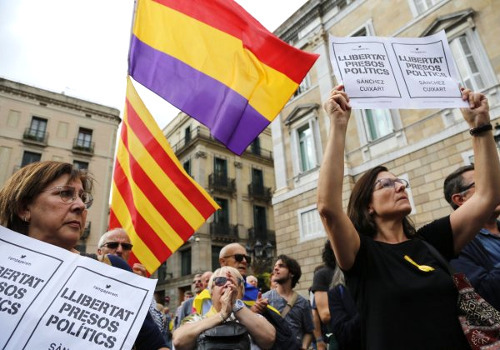 It defended the necessity of having a referendum on independence in agreement with the Spanish government, but it did not support the holding of the unilateral referendum on October 1, even though it considered the “mobilization” to be legitimate. But, as I said, it’s passive and wait-and-see attitude has prevented it from intervening. DL: And where are the working class in all of this? My understanding is that the Catalan working class is diverse, multinational. How does that affect things? JMA: Yes, a central part of the Catalan working class, in particular the traditional industrial working class, has its origins in immigration from the South of the Spanish state in the 1970s. We should also point out that in Catalan society there is a generalized use of both Catalan and Spanish and that the population in general is bilingual, even though part of the population prefers to use either Catalan or Spanish in their daily activities. At the same time, Catalonia as well as the Spanish state has in the last two decades experienced a strong immigration coming from Latin America, Eastern Europe, Africa, and also Asia, so the society has become multiethnic and multilingual. But both Catalan and Spanish politics, including the social movements, nevertheless remain quite “white” and “indigenous” [meaning the native-born people of the region]. The part of the working class that participate in the movement are the public employees (education and health) and young college graduates who can’t find decent, full-time jobs. The traditional industrial working class and the working class youth with less education have kept their distance from the movement. There are two reasons for that: First, they have less identification with the Catalan national question, since the bulk of Catalonia’s industrial working class is made up of immigrant workers who came form the South of Spain in the 1970s. Second, the disintegration of working class society and politics has led to a general crisis of the labor movement. During the Franco dictatorship, the national question and the social question tended to become coordinated because they had a common enemy: the dictatorship. It was a period of working class hegemony within the Catalan nationalist movement. This situation began to change in the 1980s when the conservative nationalism of Jordi Pujol, the leader of the CDC (Convergència Democràtica de Catalunya or Catalonian Democratic Convergence) from 1974 to 2003, became hegemonic, while the working class lost its central social and political position in Catalan political life. 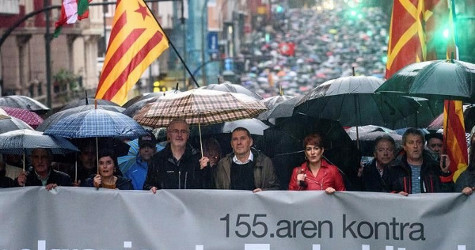 The fact the independence movement, which erupted as a mass movement in 2012, only defended independence and disassociated itself from “other” demands, in particular from the concrete criticism of the politics of austerity, has been an important strategic error and has made it more difficult to involve the working class and the left’s social base. DL: So, given all that you have told us, how does this movement move forward? JMA: Since the Spanish Republic’s proclamation on October 27, the Catalonian government was totally paralyzed. It never thought that things would go so far and didn’t foresee going beyond a symbolic declaration. Since October 27 there has been an absolute vacuum of leadership and an absence of guidance. All of the strategic limits of the catalan government and the social organizations that drive the movement were suddenly exposed. The dissolution of the Catalan government by the Spanish state through the application of Article 155 of the Constitution, Spanish Prime Minister Mariano Rajoy’s government’s announcement of Catalonian election on December 21, and the jailing of part of the Catalan government (the other part is in exile in Brussels), which put the independence movement in defensive position. DL: What then are the priorities of the left in this context? DL: So what is the strategy and what are the prospects as the Spanish state now plans to hold elections in Catalonia on December 21? The “regime of 1978” refers to the political and institutional framework of the establishment by the approval of the Constitution of 1978 which resulted from the agreement reached between the anti-Franco forces and a section of reformers within the Franco regime and which marginalized those who rejected the agreement and favored a “break.” This gave rise to a kind of democratic state that conserved important aspects of the Franco regime and which didn’t change substantially the dominant power block. Josep Maria Antentas is a professor of sociology at the Autonomous University of Barcelona (UAB). His research and writing focus on social movements, labor, and political sociology. Dan La Botz is the editor of Mexican Labor News and Analysis as well as a co-editor of New Politics .